Thanksgiving is over and December is here in full swing! Many of us are getting ready for our yearly holiday traditions and that may include purchasing a Christmas tree. You may even be planning on cutting one down yourself this year! 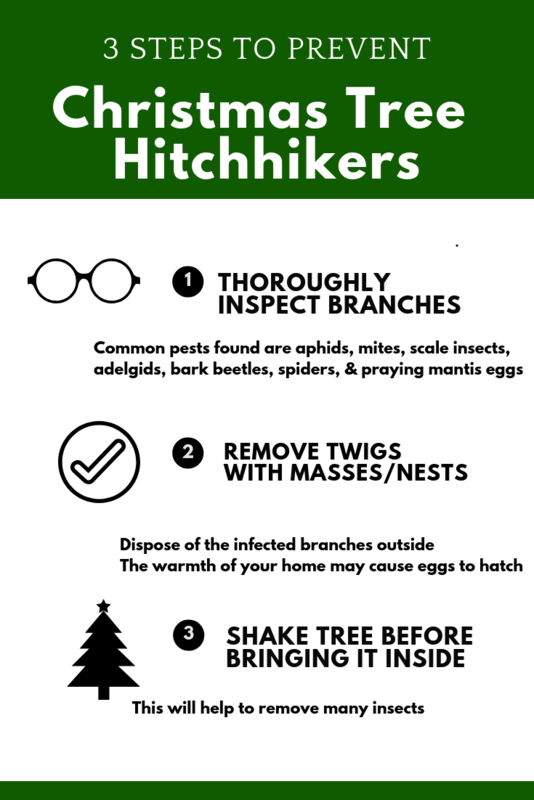 Well, whether you are planning on purchasing your tree already cut from a Big Box store or attempting to cut it down yourself, you need to be aware of some hitchhikers that may be lurking under those branches! Although problems are rare, bringing in a real Christmas tree can also bring in extra pests for the holidays. Most of the insects that are sometimes found are not a threat to you or your home. If fact, they will most likely stay unseen on the tree or die because of lack of appropriate food, warm temperatures, and low humidity. However, the warmth of the indoors can sometimes increase their activity. Some common pests found are aphids, mites, scale insects, adelgids, bark beetles, spiders, and praying mantis eggs. 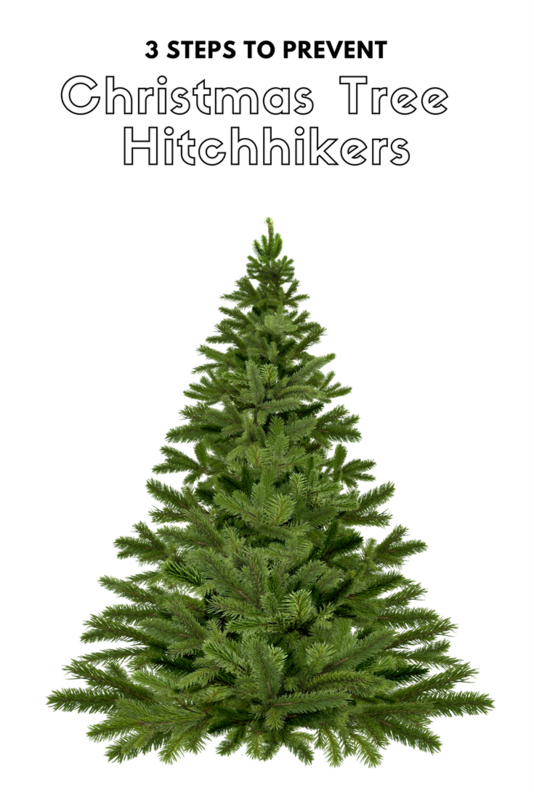 To help prevent any holiday hitchhikers, thoroughly inspect your tree for signs of any of the pests mentioned above. Small holes in the trunk with sawdust trails are a sign of bark beetles. Vigorously shake the tree before bringing it inside. This will help to remove many insects. Check for bird nests as they may contain bird parasites such as mites and lice. Egg masses of praying mantis are sometimes found. 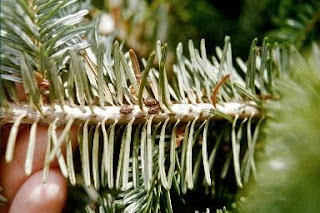 Remove the twig with the mass on it and place it in an evergreen tree or shrub outdoors. The warmth of your home may cause the eggs to hatch. Vacuum up any pests that become active and leave the tree. Do NOT use aerosol insect sprays because they are flammable & should not be sprayed on the Christmas tree.